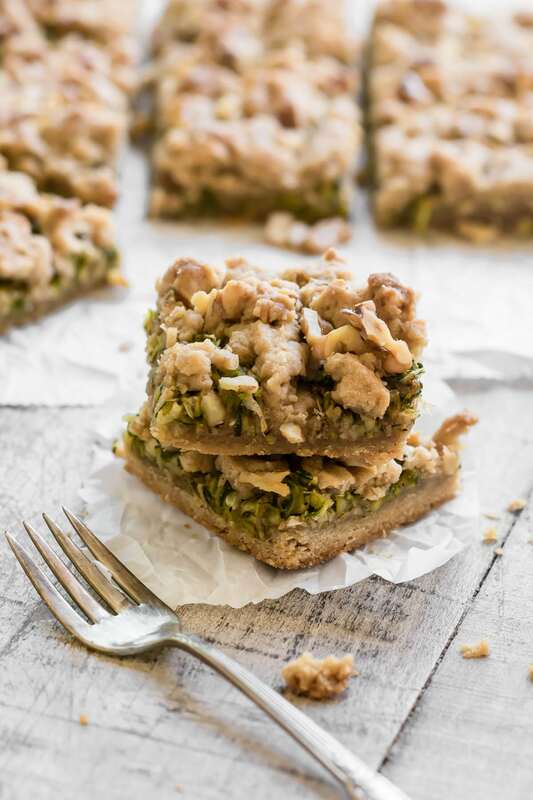 Zucchini Walnut Crumble Bars ~ you’ll welcome the summer zucchini glut once you try these homey little bars. The layer of spiced zucchini is unusual, to be sure, but one taste and you’ll be in your comfort zone…think zucchini bread meets apple crumble. Suddenly there’s a whiff of fall in the air! I took a chance on these bars, and it paid off. I wasn’t sure how the shredded zucchini would perform in place of the regular sweet layers in my classic crumble bars, but it worked out perfectly. The flavor? If you close your eyes and bite into one of these bars, you’d never guess it was zucchini, the flavor reads more like apple! Weird, but true. After shredding my zucchini I squeezed out the excess moisture and tossed it with a little lemon juice, sugar and spice. 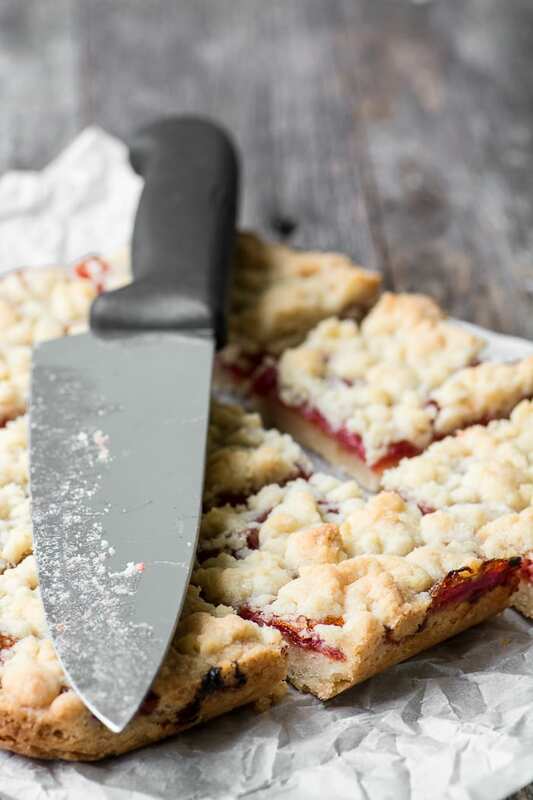 I spread it out on my shortbread crust just like I do with lemon curd, berries, or other fruit fillings. I crumbled the topping over the zucchini, crossed my fingers, and popped them in the oven. The verdict on these unique bars is a big thumbs up! If you’re ‘assigned’ to bring something to an office party, book group, brunch, etc, these would be perfect. They’re not too sweet, beautifully spiced, and yummy (the brown sugar and walnuts gives them a definite fall-ish vibe.) They’re a total conversation starter, too. My basic buttery shortbread dough never fails me, and I’ve really put it through its paces over the years. Sometimes I spice the dough, I’ll use different flours, different sugars, add nuts, etc. The filling can be anything from curds and jams to whole chopped fruit. I’ve customized them to every season and every occasion, this is a tried and true formula. Cream the butter and sugar together until light and fluffy. Beat in the salt, vanilla, and spices. Add in the flour, a cup at a time, and mix just until it is combined. Take about 2/3 of the dough and press it into the bottom of a 9x9 square baking pan. I like to line the pan with parchment paper with long ends so that I can lift it out after it cools...it makes cutting easier and prettier, but this is optional. Cover the whole bottom surface, using your hands to lightly pat the dough down. It helps to flour your hands. 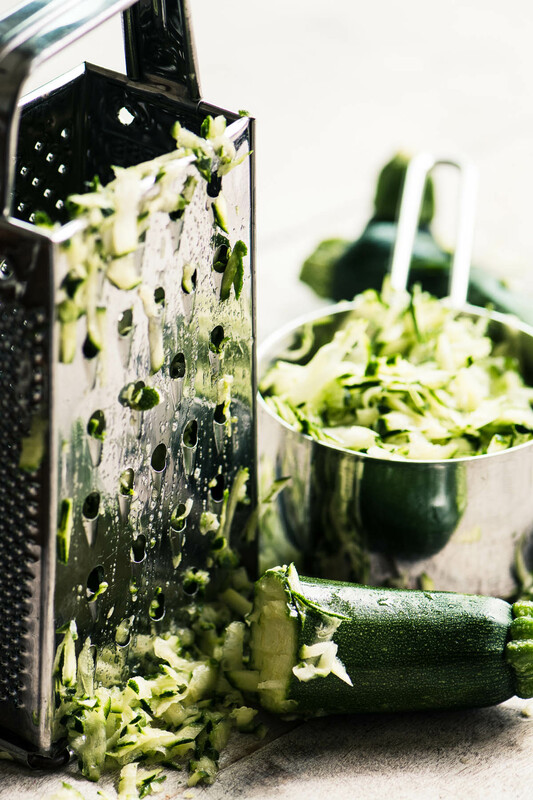 Put the grated zucchini in a clean kitchen towel and wring out the moisture. Toss with the lemon juice, sugar, and spices. Spread the zucchini out over the bottom crust as evenly as possible. 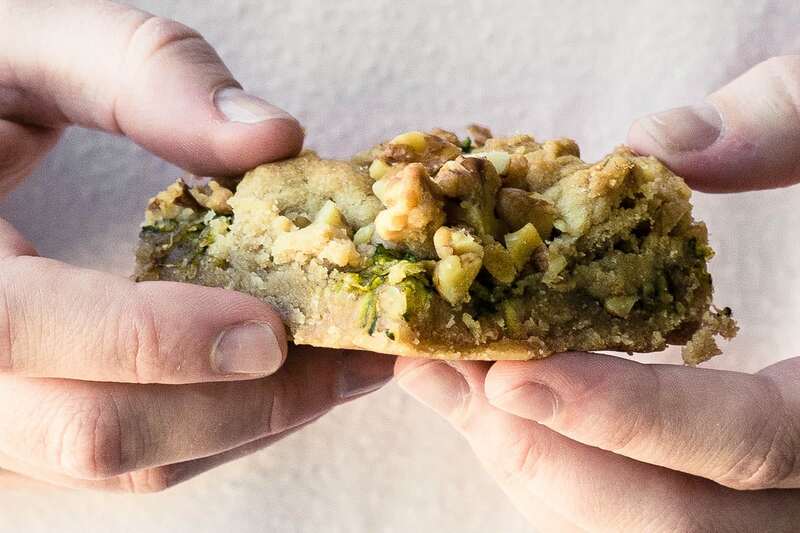 Take the rest of the dough and mix it with the chopped walnuts. Crumble it between your fingers over the zucchini, making an even layer of small crumbles. It's fine if some of the zucchini shows through. Bake for about 35 minutes until the top is starting to turn light brown around the edges. Make them nut free ~ substitute rolled oats for the nuts. Make them with whole grains ~ use half oat flour or half whole wheat flour. Make them fruity ~ add some thinly sliced or chopped apple to the zucchini filling. A little applesauce might even work. 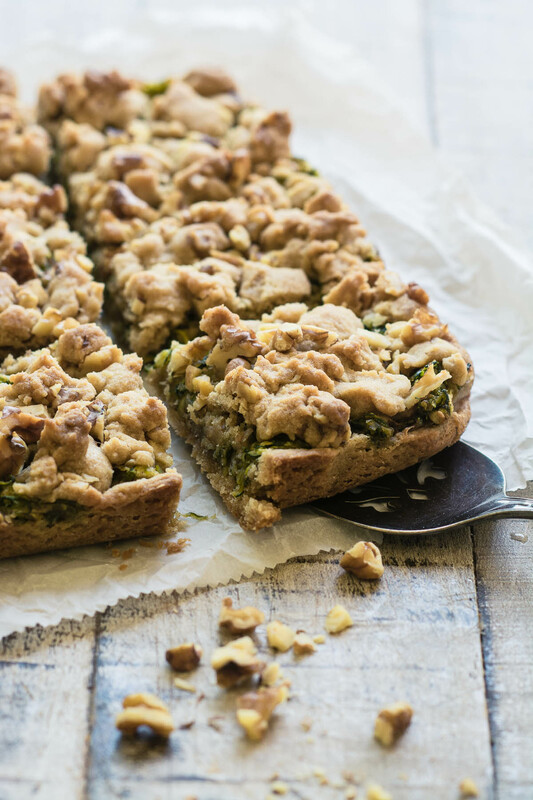 What a great use for zucchini, I love the golden crumble! What a great use of zucchini Sue! 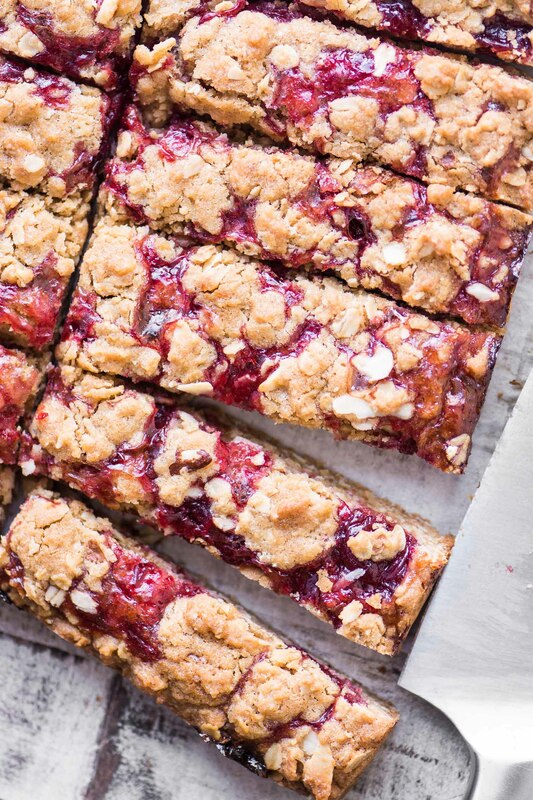 Nothing beats a crumble bar! They’d disappear quickly here! I made these and we all loved them. It’s a new snack for us, including the kids, so I love the zucchini being in there! Great with the walnuts and I always like cinnamon in a recipe (I increased the amount but I’m not sure by how much!). I’ll be making these again. 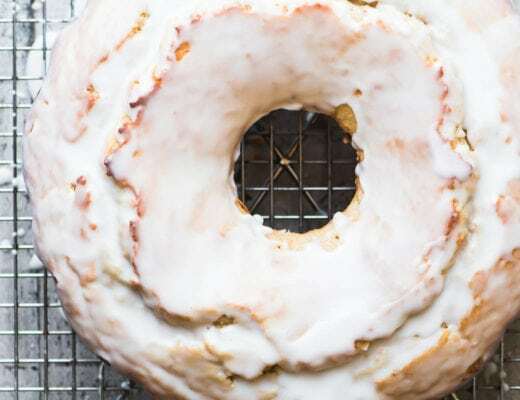 Oh my goodness i was so so excited to see that you are a finalist for the Saveur Blog Awards! 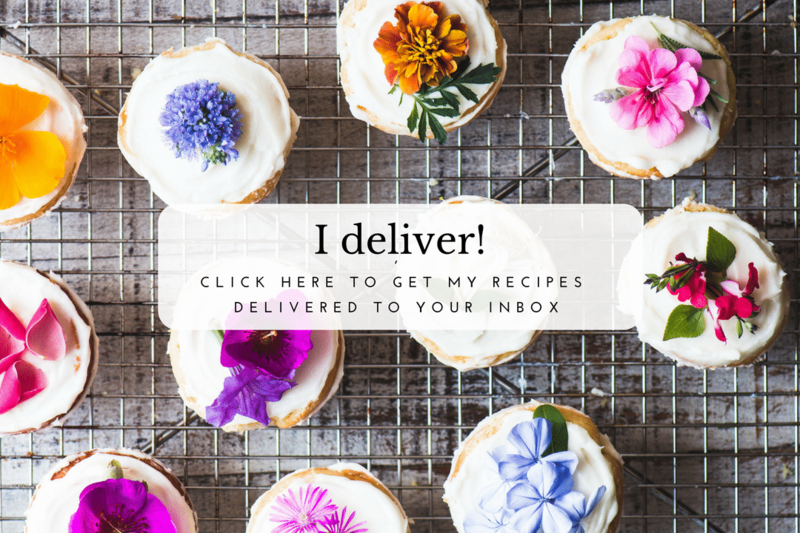 I LOVE your blog and Instagram feed! You’ve definitely got my vote ;) Congrats! And these bars look amazing! Whaaaaat? I’m so excited, I didn’t even know I was nominated!! Now, THIS is how I want to enjoy zucchini! 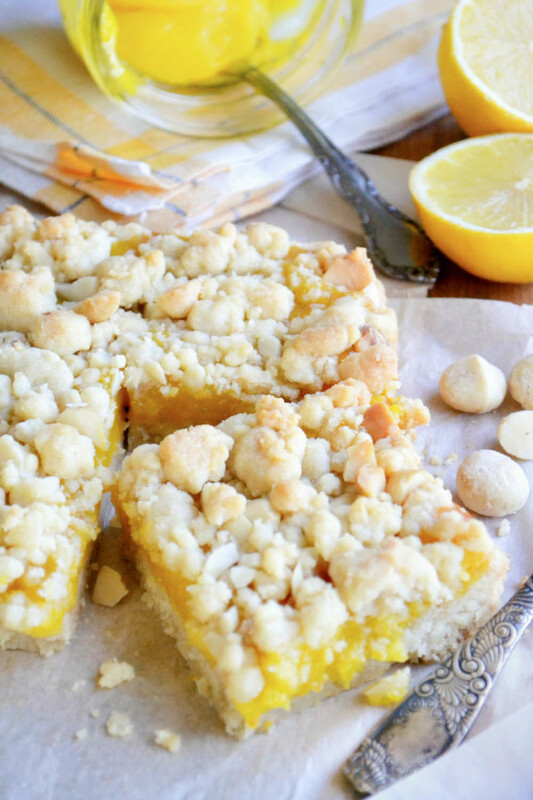 What a great idea, I love how you’ve adapted this basic recipe! Sue, these look yummy. I’ll be honest, when first saw the recipe I thought these would be a savory bar. Now I’m thinking I might try to take this recipe as a jumping off point and make something not sweet. Maybe add lemon zest, lemon juice, chopped capers and a bit of Parmesan cheese? Once again you’ve inspired me to get creative in the kitchen! They do have a savory look in the photo, and I think the idea is so intriguing. Love this! 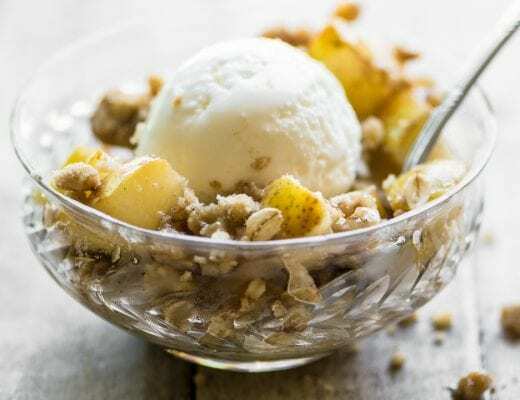 Neat way to make a crumble. Haven’t used zucchini in a crumble before, but you can bet I will. Thanks! Thanks for spotting that Jessica, I added, it’s 1/2 cup chopped. 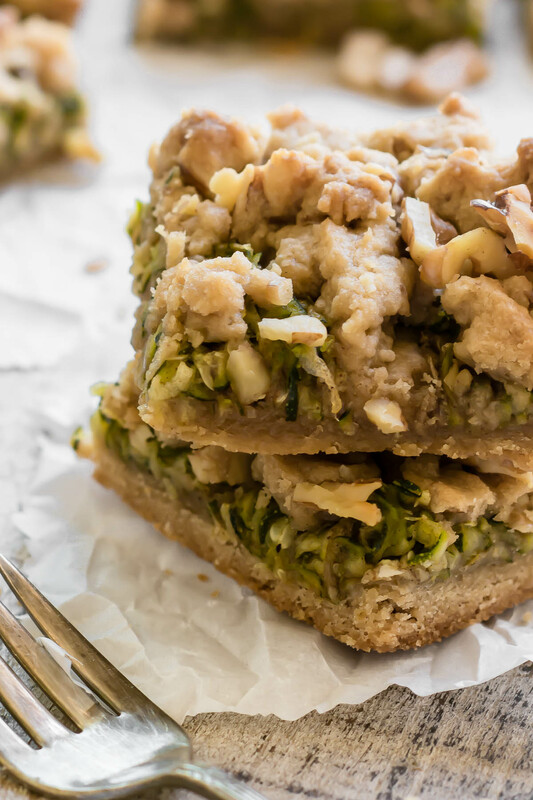 A great idea to add zucchini to crumb bars! It’s a little unorthodox, but it works! What a great way to use Summer zucchini! Love it with the walnuts. Yum! How creative! 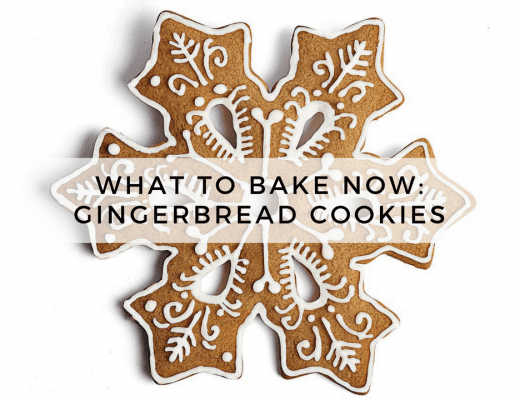 I can smell them baking now – and what a treat! You make some amazing zucchini recipes for sure ;) I want one, or two!